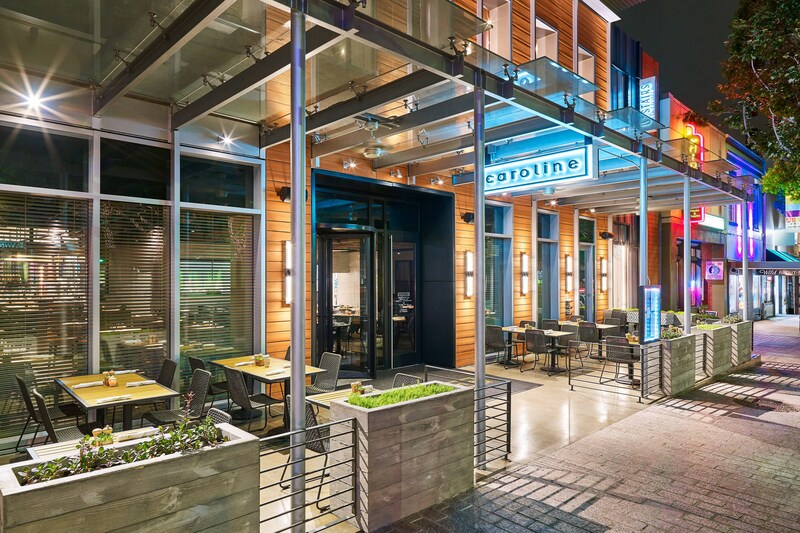 In addition to our complimentary breakfast and evening receptions, Element Austin Downtown also offers dining at Caroline, a popular restaurant among hotel guests and locals, on the first floor. Also enjoy specialty cocktails and lawn games at the indoor/outdoor bar on the 2nd floor. Energize your morning and unwind in the evenings without even leaving the hotel. Start you day on the right foot with Rise®, our complimentary and customizable breakfast that ranges from quick grab ‘n’ go’s like whole fruit, to a build-your-own Chobani yogurt station, or a hot, freshly made full breakfast. Enjoy some well-deserved down time at our complimentary evening reception. Cheers to a successful day in downtown Austin with a selection of soft drinks, wine, and local beers paired with light bites. When hunger strikes, just head to the pantry. Restore has everything you need to prepare delicious meals in the comfort of your private in-room kitchen. You can also choose from a wide variety of salads, yogurts, and easy grab &apos;n&apos; go snacks. Forgot your toothbrush? We carry toiletries and other travel necessities too. Enjoy classic-to-clever American fare dining at Caroline, our downtown Austin restaurant. A neighborhood, all-day spot, the restaurant also offers handcrafted cocktails, a carefully-curated wine list and a welcoming, open-aired atmosphere. Experience Austin&apos;s world-famous vibe and nightlife by visiting Upstairs at Caroline. 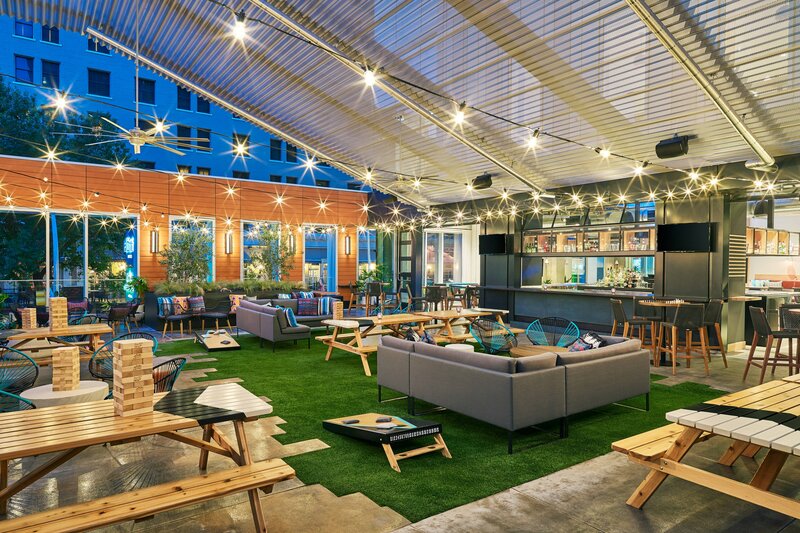 Our rooftop bar in downtown Austin is an urban backyard party. Serving innovative cocktails, our bar is the ideal spot to mingle, play foosball or watch the big game. The Coffeehouse at Caroline will keep you buzzing from sun up through sun down in Downtown Austin. Grab your favorite blend from local Austin coffee roaster Little City Roasters or a hand-baked sweet treat to get you through the afternoon. The Hideout is Downtown Austin&apos;s oldest standing coffee houses serving fresh sandwiches, pastries and an assortment of beverages. 1886 Cafe & Bakery offers a variety of culinary delights, from fresh baked goods to flavorful steaks. Eureka! Is a unique eatery in downtown Austin providing great food, craft beer and small-batch spirits. Ruth&apos;s Chris is an upscale steakhouse providing excellent cuts of meat and craft sides. 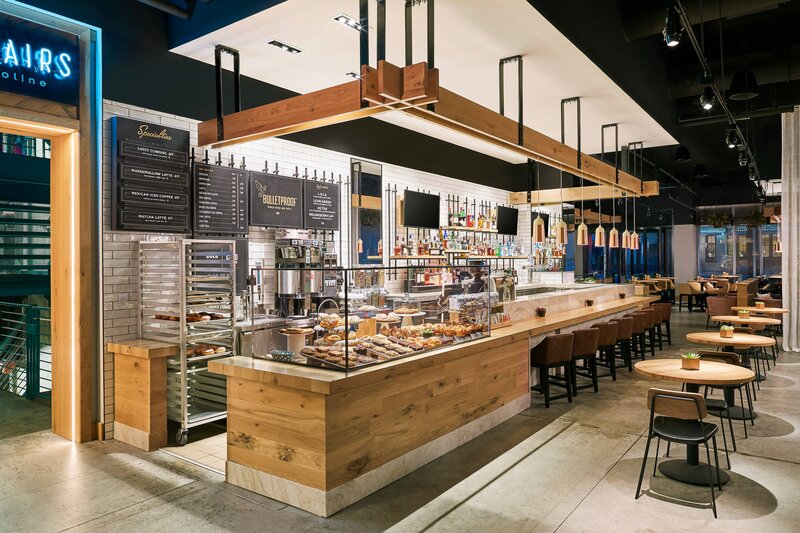 Italic is a rustic Italian restaurant, specializing in wood-fired pizza and traditional pastas.